According to Chakrabarti, Indians “..[a]re effectively looking for validation of their belief systems and on these platforms, then, validation of identity trumps verification of the fact.” The large study, focussing on Kenya, Nigeria and India, studied how people react to and spread fake news. Cheap cost of data coupled with rising (what is construed as) nationalist sentiment was found to be behind the widespread sharing of fake news. What was worrying was that this investigative report clearly suggested a strong overlap between fake news and pro-Modi political activity. 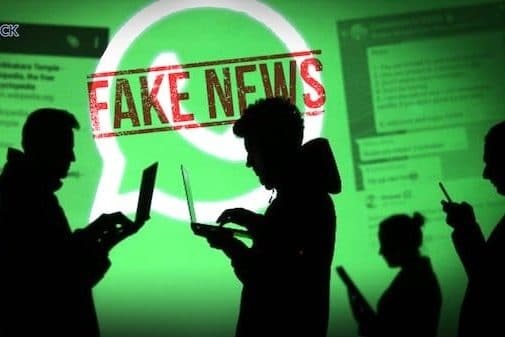 It suggested that the ruling party was actively and effectively peddling fake news about Prime Minister Modi across social media platforms such as Twitter, WhatsApp and Facebook’ . It was a sheer coincidence that this BBC report had appeared in the immediate aftermath of elections in Brazil, which had elected a highly controversial Right wing politician, Jair Bolsonaro, as its President — someone who had openly expressed nostalgia for the country’s military dictatorship, or has repeatedly denigrated gender non-conformity and homosexuality and considers the issue of climate change as a Marxist plot. The menace of fake news had caused so much consternation in the highly polarised, social-media obsessed nation, where misinformation flew free and fast that 24 media organisations–ranging from national newspapers and television networks to specialist and local publications–joined forces under the name Comprova, or Prove It. India’s 2019 national elections are widely anticipated to be the “WhatsApp elections”. Against a backdrop of rapidly improving internet connectivity and rising smartphone use, the number of people using private messaging service WhatsApp has soared since its India launch in mid-2010 to more than 200m–more users than in any other democracy. But, more about emerging links between digital politics and the public sphere sometime later.